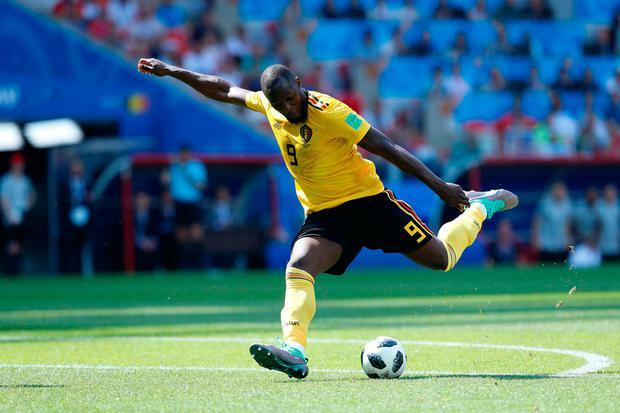 Belgium striker Romelu Lukaku looks set to miss the World Cup clash against England in Kaliningrad on Thursday. The Manchester United forward is still battling to shake off an ankle injury suffered during the Group G victory over Tunisia. "He had a really difficult knock against Tunisia and probably tomorrow is one day too early, but I don't think it is going to take any longer than that," Belgium manager Roberto Martinez said. "We had very good news on the scan. There was no further damage, but it is still uncomfortable. "I don't think he will be training today, and I think we will make a final assessment tonight in order for him to be involved or not. At the moment, it is still in (the) recovery phase." Both sides have 100 per cent records in the competition so far, and Martinez voiced his admiration for England. "What I see is Gareth Southgate has brought all his success from under-21 level and has developed an England culture," Martinez said at a pre-match press conference. "I think there is a clear structure, there has been a real tactical awareness, there has been a change of system to go into different qualifying games. "They have found a system that suits this generation. There is a youth about them, an energy, a belief and a real desire." Belgium defender Thomas Vermaelen, meanwhile, hailed England captain Harry Kane as "a complete striker". Tottenham forward Kane has already scored five goals in the tournament, including a hat-trick during the 6-1 rout of Panama. "What he has done in the league - of course I can only judge by seeing him on TV - he has scored a lot of goals and been very important for Tottenham and the English national team as well," Vermaelen said. "He is a complete striker. He is strong, he scores goals. For me, he is a world-class striker."